Below are the tournament rules set forth for the 2019 Southeast Coyote Challenge. These rules will apply to everyone, and will not be changed to accommodate anyone. If you do not think you can abide by these rules, do not take part in the hunt. - VERY IMPORTANT: Each coyote harvested MUST BE videoed by a smart phone or some type of camera that can be viewed during check in when the kill block is inserted in its mouth. The video will need to show YOU PICKING UP THE ANIMAL, SHAKING IT, TO SHOW IT'S FRESH, and no stiffness is present. Also a team member MUST VIDEO YOU WRITING THE 3 DIGIT CODE ON THE BLOCK BEFORE PUTTING IT INTO THE ANIMALS MOUTH. BLOCKS CANNOT BE MARKED WITH THE NUMBER BEFOREHAND. THEY MUST BE FILLED OUT UPON A SUCCESSFUL HARVEST. The block WILL ALSO need to be numbered 1, 2, 3 and so on. The first animal you harvest, that block will need to be number 1 and so on. EACH KILL BLOCK MUST HAVE BOTH TEAM MEMBERS INITIALS ON IT AS WELL. Teams MAY NOT split up. ALL animals MUST be taken using CENTERFIRE rifles or SHOTGUNS. This is a DAYTIME COYOTE HUNT ONLY. No bobcats or foxes will be accepted or scored. The reason for daytime hunt is because night hunting is not allowed on federal public land in Kentucky such as the DBNF, LAND BETWEEN THE LAKES AND BIG SOUTH FORK, which is more than likely where a lot of OOS hunters will want to hunt. That puts OOS hunters at a disadvantage if they do not have permission or access to private land in the state. ALL licenses must be in your possession during hunt and at check in. Anyone caught hunting without the proper license are subject to be reported to Fish & Wildlife officials. ALL out-of-state hunters taking part in the event will be required to present an original copy of their non-resident Kentucky hunting licenses upon check in. Hunt will END on Sunday, January 27th at 2:00 PM. Every team competing in the event must be at the check in station by 3:00 PM, no exceptions. Anyone not on sight by this time will be disqualified. Check In times will be strictly enforced. REGISTRATION for this hunt will begin on July 1, 2018. (You do not have to be present to register for the hunt. Registration information will be released on how to and approved methods of pre-registerstration before July 1. ) ALL TEAMS MUST BE REGISTERED 48 HOURS BEFORE START DATE OF HUNT. NO roadkill, trapped or snared animals will be accepted. Dogs MAY NOT be used in the taking of coyotes and NO BAITING of any kind is allowed. NO MINORS under legal hunting age is allowed to hunt, accompany hunters or participate in any way. Minors over legal hunting age MUST register with an adult team member. 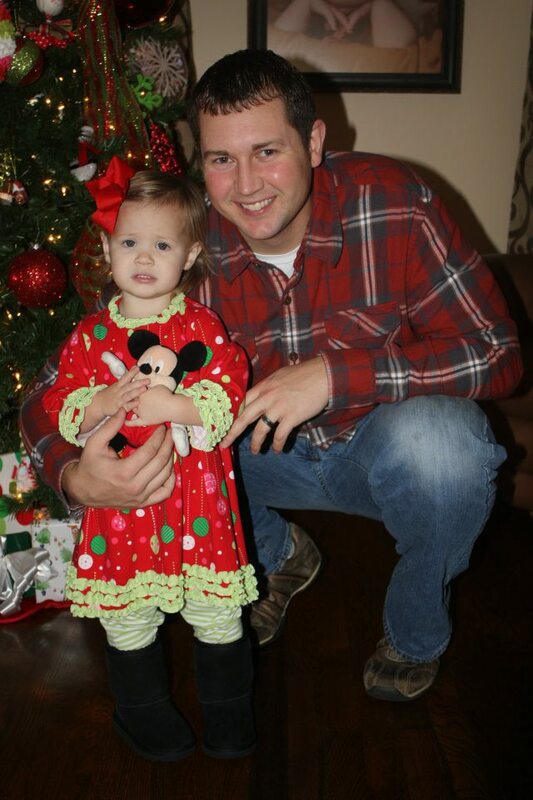 They WILL NOT be allowed to hunt with another minor. HEAD SHOTS may be taken on animals. HOWEVER, any head shot that causes damage to the muzzle area of any animal to the extent a kill block can not properly be placed inside its mouth per the kill block regulations, that animal WILL NOT BE ACCEPTED. Again, head shots are allowed, and are your choice. Just be aware that a poorly placed shot, damaging the muzzle of the animal could cause the animal to be disqualified if kill blocks can not be used as instructed. The pooling of coyotes by teams IS NOT ALLOWED. Anyone caught attempting to pool animals together will be disqualified. ALL coyotes taken MUST be exposed to the outside temps. Coyotes CAN NOT be placed in plastic bags, enclosed boxes, or stored inside vehicles. In the event of a tie, the winner of the event will be determined by the overall total weight of their coyotes. Scales provided by hunt officials will determine winners. Electronic, hand and mouth calls may be used to call in coyotes. Anyone registering for the hunt will be entered into the drawing for prizes. However, YOU MUST be present at check in to win if your name is drawn. This may seem like a lot of rules, but they are very simple and easy. The main thing is to be smart, be honest, hunt safe, be on time, have fun and you have nothing to worry about. If your an out-of-state or non local hunter, and your wondering how your gonna register for the hunt without driving a long distance, never fear as you can register using Paypal. If using the traditional method of sending money for goods & services, you will need to add an additional 3% to your total, making it $51.50. The three percent is to cover the fees tacked on by Paypal. Another option would be to send the money to Family & Friends. This option would allow you to send money without any fees being applied, which would make your registration $50.00. No matter which option you use, PLEASE put in the notes section the names of your two team members and your location. Thank You. The check in for this years hunt will take place in Elk Hill Industrial Park in Clay County, Kentucky. This spot is located 5 miles East of Manchester, Kentucky on the Hal Rogers Parkway. There will be a sign at the exit to the Industrial Park off the Hal Rogers Parkway directing hunters to the location. Although remote, it's very easy to find. 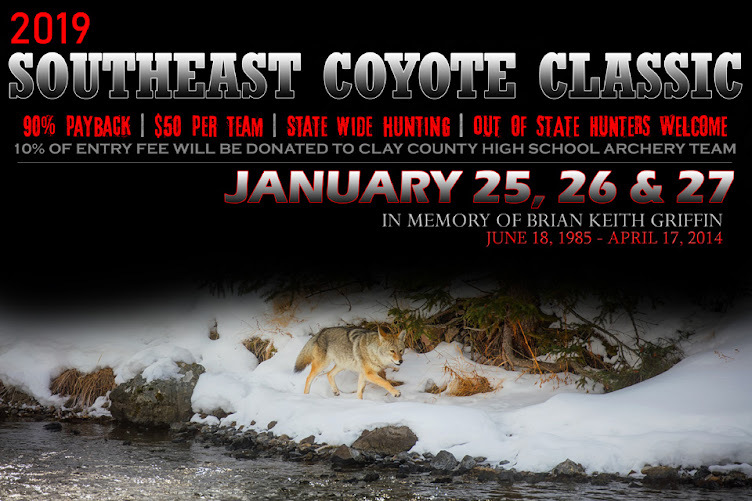 The days are counting down for the upcoming Southeast Coyote Classic. I would like to take time to thank several companies who have been generous enough to donate prizes for hunters taking part in the hunt. Vortex Optics, Pocket Drag LLC, Ed Sceery with Screery Outdoors and Caging Bobcats. Other companies are being contacted in an effort to get as much merchandise possible to give away to those taking part in the hunt. EVERY hunter who registers for the hunt will be entered for the drawing of prizes. However, YOU HAVE to be present during the check in of the hunt to win if your name is drawn. To access public land hunting for the State of Kentucky please click HERE. The link includes both state and federal public hunting land. REMEMBER, it is YOUR responsibility to know and follow the game laws surrounding each hunting area. If you have any questions pertaining to the hunting rules & regulations for any of the public land areas, contact information is available for each one on their information page or can be accessed by searching for contact information online for the particular area your looking at.